Some might argue that there is no need for a police forum or a neighbourhood watch in Montagu. Yes, we are still fortunate that our crime is relatively low, but it does not mean we should become complacent. Montagu is taking a proactive step to minimize all forms of crime and it requires the community to take a stance by remaining alert and becoming part of this endeavour. 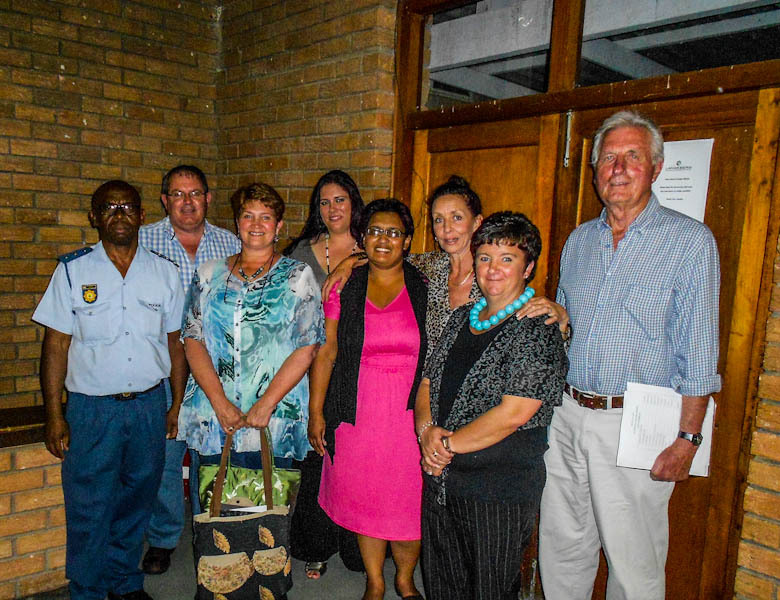 Montagu's Community Police Forum (CPF) recently announced its new committee for the next few years. The forum works closely with the South African Police, helping to forge a better relationship between the police and the local community. Forum projects are carefully identified and managed on a month-to-month basis, with the goal and principal aim being crime prevention and reduction. Since the re-establishment of our neighbourhood watch in Montagu South, a dramatic decline of crime has occurred. As a result of this, the forum encourages all Montagu locals to become involved with the Neighbourhood Watch. Being a member does not mean you are subjected to lengthy meetings and to forced patrol the streets, it can be as simple as a change of mindset. Who knows your neighbourhood better than you do, so who better to spot things that are amiss. As a member, you will know exactly how to react and report things like this. SMS and email communication is used to keep members informed of important information about their area. front row (from the left): Captain MZ Moloi, Zelda van Heerden (Treasurer), Selestine Moses (Acting Secretary), Suria Meyer (Secretary), Terry McCulloch (Vice Chairman). back row (from the left): Ds Charl van Rensburg (Chairman), Patruzchka M�ller (Projects Co-ordinator), Helen Gooderson (Community Liaison).